All the rumors are true: I am an ADHD double agent (cue the spy movie music, please). In public, I’m a (fairly) normal business owner who manages to pay bills, coach my clients and manage employees. But in private, I’m a mess. I leave a trail of shoe droppings through my house; I always shop in the belated birthday card section; and I swear I’m going to finish writing this blog post by the end of last week. Granted, I am more bumbling Inspector Clouseau than suave James Bond but only because my private self tends to break through at the most embarrassing moments. Those moments happen more frequently these days because, quite frankly, I am worn out from changing disguises. I have a whole closetful of them: The Loser, The Intellect, The Space Cadet, The Super Hero. All of them rub my psyche like an ill-fitting pair of shoes, leaving blisters on my authentic self which aches to make its public debut. So I’ve made a decision: I’m giving up the spy life in exchange for being “Me” in all my ADHD glory. It’s frightening to emerge from behind the masks. What if I am rejected, abandoned, or worse, ridiculed? At this point, it’s worth the risk. All I have ever wanted in my entire life is to be loved for being exactly who I am. Somewhere along the line someone told me that wasn’t enough. But I’m gonna give it a shot. Maybe it’s time you turned in your double agent badge, too. Wanna join me? If you’re ready to drop the masks and emerge as the Real You, join Rick and I for a fascinating webinar on Tuesday, March 17, 2015! Please click here and register. Sounds scary! You’re a very brave person! This is a great article Linda! I have spent all my 20 years trying to pretend to not have ADHD, I just never knew it until very recently. I have always known I was different to everyone but I never had any kind of diagnosis, nor did anyone ever confront me about it. So for the last few months I have taken it into my own hands and I decided to find out for myself what makes me ‘tick’. Finally after 20 years I know that I have ADHD, and a combination of other disorders. I feel like who I am has been hiding for a very long time, I feel more at ease now that I understand more about myself. A mask??? How I wish!! I had no idea that I was the problem all my life. I could not see how other saw me and so I somehow (to me) managed to alienate my friends and had to leave all of my jobs. I lived/live my life mostly alone – cuz I ‘blurt’ things that my inner self doesn’t mean to say. Wish I would have had a mask . . might have saved me a job . . . a friend . . or two. Nope – no masks for me – just blazing, unabated ADD! Diagnosed at 41; now 52, haven’t made much progress. I started crying when I read this, Linda. I am a Double Agent too–longing for the same as you. Longing for people to love me for who I am. I am 52 years old and just diagnosed myself last year. I kind of knew, but didn’t own the diagnosis. God Bless you for finding the courage to speak out and for representing women with this disorder. I have so far to go but it helps to know that there are others struggling. Can’t wait to see this webinar and also read your book, visit your site, etc.! As an adult with ADHD, parent of kids with ADHD, and as a School Psychologist – this is SO accurate and good! I find it fascinating how understanding adults can be regarding kids who have these difficulties but how little patience they have when those kids become grownups and have the same problems. 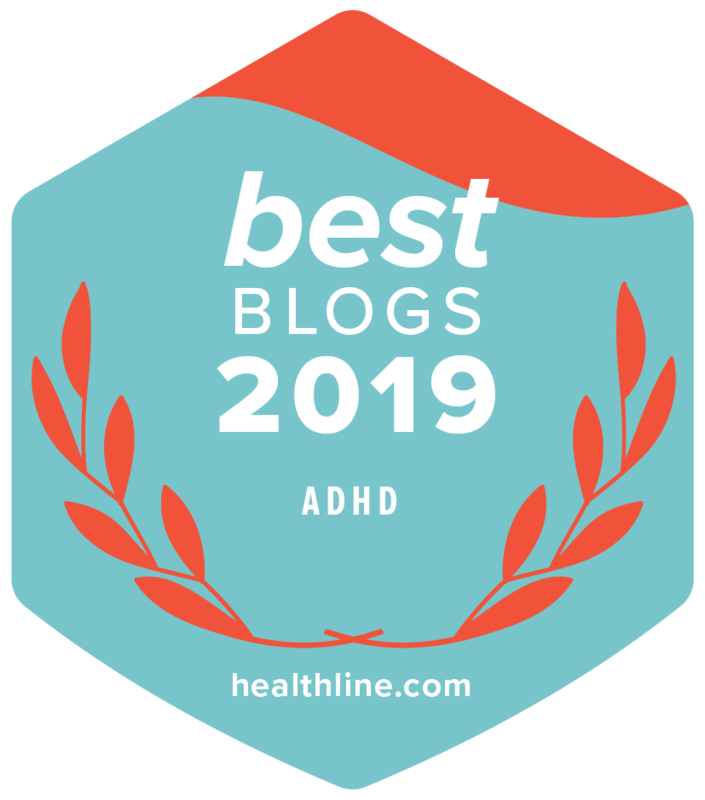 Helping students with ADHD celebrate who they are and how it is fantastic is such an important part of being able to help teach those without ADHD how it impacts your life! Having read your article allow me to offer a contrarian point of view. I am reminded of a Bill Cosby comedy bit from a few years ago about cocaine use. You’ll excuse the profanity but I think the point is well made. Not everything about me is wonderful, especially some of the impetuous statements I make and most certainly not the impulsive behavior. Like many others that have received this diagnosis I have a long list of relational and financial disasters that have left many hurt. Life with me can most certainly be entertaining but it can also be chaotic, and destructive. That is the nature of this disorder and the nature of my own mind. So then why would I defend the use of “masks” for those with ADHD? Because those public faces have a way of grounding us to an objective reality and lifting us above the turmoil of our own subjective experiences. I work in an area of heightened public trust and am expected to ‘keep my head when all about me are losing theirs and blaming it on me.’ It is in those times that, regardless of whatever is going through my mind, my actions are governed by the responsibility put on me by my role. It constrains my behavior and ensures I set about fulfilling the task set before me. As does my role as a father, husband and friend. It is also exhausting to constantly feel at odds with my own nature. But my nature can be disruptive and sometimes leaves in it’s wake real sorrow. Let me also be clear that I am not advocating for a life of self denial. I expect many here have tried that route and found nothing but immense mental torture in the pursuit. I know it has for me and if there is any mask I have absolved myself of it is the mask of being ‘normal’. I expect on this point we agree. Mental illness doesn’t need to be a death sentence but neither does it relieve us of our duties to community, to family and to ourselves. It does present challenges and one of the mechanisms that can be useful in overcoming those difficulties is the external control placed upon us by the responsibilities of our ‘masks’. I am all for letting your freak flag fly. ADHD people can be some of the most interesting, engaging and creative people you will ever have the privilege of meeting. I am sure I am not alone in being the guy people come to when they need a novel solution to a problem. “Leave it with me.” I’ll say and 10 minutes later I will have come up with an unanticipated outcome. It is the gift of having a parabolic mind. Left unrestrained I can also be unpredictable, paranoid and intense to the point of being impossible to be around. Perhaps this is just my way of dealing with my challenges but my roles, my ‘masks’ provide me with a path forward when my mind is incapable of doing so. Vivian Stanshall was a legendary British eccentric, who, like me, often found it very hard to be so different, but knew from experience that it’s even harder NOT to be. I enjoyed :Confesions”. Laughed and cried and recognized my spy self! Looking forward to the webinar. I’l even come home early from the pub and my green beer! This is me, at 57, it finally makes sense! I am in a GREAT struggle, trying to fit in. Highly insecure, am painfully uncomfortable in social/work situations…….almost getting to the ‘crippling’ point. Help! Fascinating, thank you and I absolutely agree. Masks are crucial, not to fool ourselves but to use for remaining calm, grounded, constrained in posture, communication and especially our minds. The mask, worn as needed keeps me sane and grounded. Unable to use medication I had to learn to stay calm by wearing a mask of being calm. My ADHD stems from lifelong PTSD, at times in these situations, panic is my shadow. A big lesson but important to learn: if you put the mask on and act like this is the normal you, you gain assurance and strength from the public face you are wearing. Thank you for the above clear explanation of when masks are needed. At times everybody wears masks. Being intelligent, female and determined, I became good at wearing mask at school and around everyone which has it’s drawbacks as nobody knows you are struggling. I was diagnosed with dyslexia age 42, ADHD at 60 and diagnosed with life-long PTSD age 64. Finally, when I turned 70, I began to enjoy feeling comfortable within myself.